So last friday these beauties were released by Adidas. 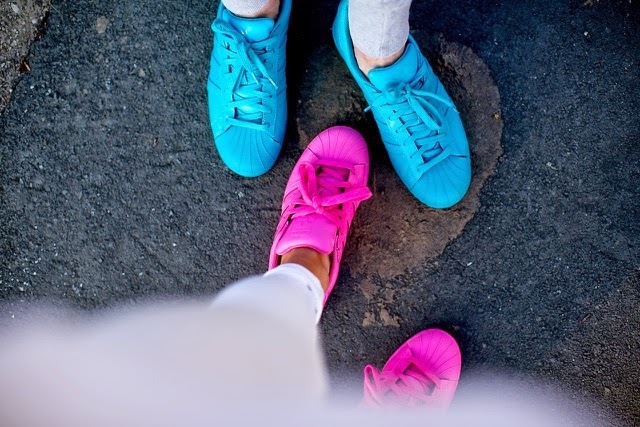 The Pharrel Williams Adidas Superstars, and these were made in a tonne of amazing colours. I personally bought two pairs, one in hot pink and the other in a pastel blue. And I must say, I am in love with them. 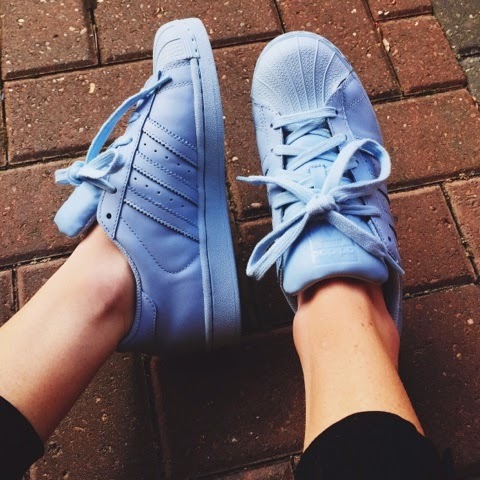 I used to wear superstars when I was younger back in school, and before they became super popular again I found a pair (I was amazed they still existed) and ever since then they became more and more available again. The colours are mostly quite vibrant in this range, but there are a few pastel colours like these out there too, unfortunately I think they are limited, and alot sold out very quickly. But now its spring, I think these are perfect for some warmer outfits and are really eye-catching. I love these more and more every time I look at them. The two colours you got are definetly my favourite, and I'm aaaalmost regretting not ordering a pair.